You are Here: Home » Sleep Health Blog » Bed Frames » Do You Know the Different Types of Bed Frames That Have You Spoiled For Choice? What Is An Air Bed? Can You Still Buy Murphy Beds? Why Buy A Platform Bed? An air bed is in fact usually an air mattress. Instead of containing springs or other fillings, an air mattress is hollow and is inflated to the desired level. You can buy them in all the standard sizes. One of the most well known brand names is probably AeroBed however there are many others such as Comfort Craft, Intex and Coleman available to buy in the stores and online. Some air mattresses are intended to be used as inflatable portable or spare beds, possibly for camping or guests. These can be moved where needed and pumped up by hand, perhaps used as a mattress for a sofa bed. Others are intended as part of a permanent bed and are usually raised or mounted on a platform. Perhaps the most well known of the latter variety is the Sleep Number Bed from Select Comfort. Why would anyone buy an air bed instead of a conventional bed and mattress? The appeal is that the cushion of air can adjust itself to the contours of your body, thus reducing the discomfort and pressure spots. A top of the line air bed can be a real luxury and the term used often in advertising and sometimes in reviews is sleeping on air. The other main advantage of this system is that the level of firmness can be controlled to meet your personal needs. Some airbeds on the market have independent air chambers that can be adjusted separately. This allows each partner to sleep on the level of support that is best for them. 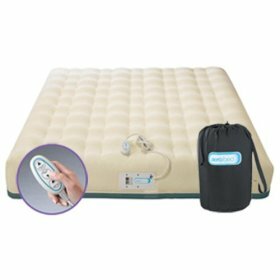 Some of the more advanced air bed models go further and have several separate “zones” that are adjustable more or less independently. This is most often a tri-zone system. As with all innovations, some people love this whilst others don’t see the point. An air bed mattress usually also has a layer of foam on the top. This is usually a few inches thick and serves both to protect the air chambers from puncturing and also to increase the comfort level. Good foam can make a huge difference to the quality of the mattress. Some of the air beds on the market come with a memory foam layer on top, the ideal combination for some people. There are a many other materials, for example the Aero DuraSuede with Microsuede top surface. As well as comfort and support, another advantage of air bed mattresses is that they don’t need to be turned. In addition, they are considerably lighter than their traditional counterparts which makes them easier to move. Before this begins to resemble a TV infomercial I should mention that there is a drawback to a sophisticated multi-chamber airbed: it’s a mechanical system complete with pump, compressor, controller, etc. Even the best mechanical system can fail, so it’s even more important than usual to buy quality and ensure that you get a good warranty. The classic two-person bunk bed encapsulates one of the best tricks in space saving interior design: go upwards! By using vertical space they effectively allow two people to sleep in the floor space of one. As such they are popular in places where multiple people must sleep in a small space – dorms, hostels and holiday accommodation frequently use them. They are also widely used in ships and this is possibly where the practice originated. Bunk beds are also common in kids’ rooms, however you should be especially sure to follow all safety precautions if children will be sleeping in them. A bunkbed is essentially two beds on top of each other, held apart by support struts. To reach the upper bunk a ladder is used. Because of the need for support bunk beds are almost always single-person on top, however some on the market have a larger two person bed underneath: for example the twin-over-full. Both wooden (eg pine) and metal frames are popular. It’s also possible to buy a triple bunk bed, however there are fairly rare. Since the top bed is likely to be even higher in this arrangement, safety becomes even more important. Bunk beds have traditionally been arranged one over the other so as to maximise the use of space. Recently the L-shape arrangement has become popular. This creates a storage area under the top bed and makes sleeping in the lower bunk a less oppressive experience. It does, however, have a more limited range of rooms into which it can physically fit. A “bunk bed” with a bed only at the top is known as a loft bed. Some bunk beds you can buy have a “slide” for the child on the top bed. The risk here is that it makes the child more likely to think of the bed as a play-space with the resulting safety risks. Safety is vital with bunk beds, whether it’s adults or children sleeping in them. Especially with children. Children sleeping in raised beds must be taught that they are not toys and guard rails should always be used. In the US, federal guidelines recommend that only children aged over six sleep in top bunks. Always read and follow manufacturer’s instructions. For more information see the Consumer Product Safety Commission fact sheet on bunk bed safety. Pay particular attention to the safety aspects should you decide to build your own bunk bed. You probably want to buy a professional plan to ensure that the design meets safety standards, provides adequate weight support, etc. The CPSC document above gives some guidelines on this. Cabin beds are very popular, especially in the US. However there doesn’t appear to be a simple definition of the term: you can buy a wide variety of beds by this name. The most well known of these could be described as Log Cabin Beds, however the term is also used for a Captain’s Bed. 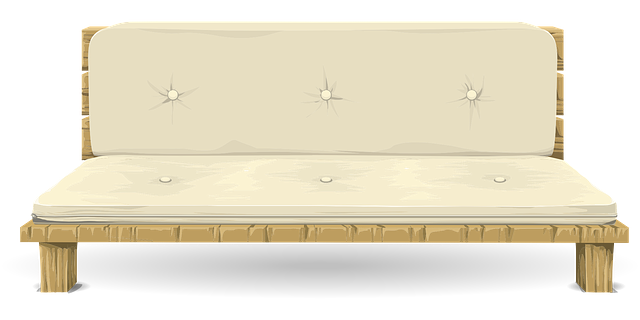 And it’s not just this type of bed frames that get the “log cabin” treatment – you can buy all sorts of furniture from pet houses to toilet seats! The most frequently found form of cabin bed frame on the market is designed to resemble that found in a log cabin or hunting lodge. As such they are usually made of wood and the design often makes them appear to be made from solid logs. Depending on how much you spend you can buy anything from a “faux wood” design to a hand crafted genuine log bed. Many people prefer to have a “natural” look to the wood. A variety of woods and stains are available to choose from – white cedar is popular. Although a traditional log cabin bed is designed to look simple and rustic, modern versions can be as sophisticated and well-designed as any other form of bed. The term cabin bed is also sometimes used for a captain style bed. These were designed for use in the cabins of an old ship where space was at a premium and there was little if any room to store personal possessions. The captain – unlike most of the crew – had his own cabin and bed. This usually contained drawers underneath and it is the presence of this under-bed storage that is a feature of the captain bed. Sometimes this style is also combined with a bunk bed. Captain’s beds are often made in pine. 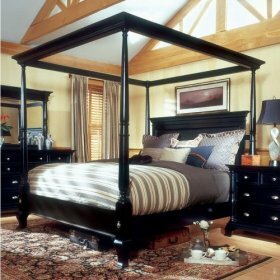 The canopy bed – usually known as a four poster bed in the UK – can add an extra element of style and luxury to a bedroom. Some hotels use canopy beds in their top of the range rooms. 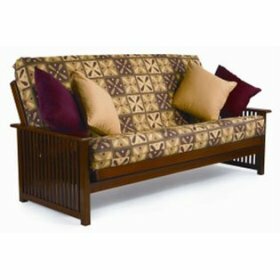 The name refers simply to any bed frame, usually wood or metal such as wrought iron, which is covered by a cloth canopy. They come is a huge range of styles and you can usually buy the canopy as a set or separately from the bed itself, allowing you to create the perfect ensemble for your bedroom. Make sure you know exactly what you’re getting, especially when you buy online – the canopy itself is very often not included in the price of the bed frame. Most specially built canopy beds will have a “canopy frame” above them from which the fabric will drape. This drape is usually rectangular, tracing the outlines of the bed itself, however variations exist such as a circular frame above the middle of the bed. The canopy frame is usually supported by four posts, one at each corner of the bed. Hence the name four poster or four postbed. Sometimes these posts are plain, sometimes they are themselves ornately carved. If you’re a DIY / home improvement fan then it’s possible to add your own canopy cover to an existing bed by simply fixing posts to the corners and draping your choice of fabric over the top. If you’re planning to try a project like this then take care – a badly fixed canopy and supports crashing down on the sleepers could be very dangerous. An alternative approach – if the position of the bed is unlikey to change – is to fix rings to the ceiling above the bed and attach the fabric to these. Although canopy beds today are considered decorative luxury items, they were first made for purely pragmatic reasons with materials designed for durability rather than aesthetic appeal. The thatched rooves in many poor homes were a haven for assorted bugs and other creepy-crawlies – not the sort of thing you want dropping on your face in the middle of the night! In wealthier homes with solid rooves the soot from the fire would collect on the ceiling and sometimes fall. The canopy above the bed was simply to protect the sleeper from these unwanted intrusions. A bonus feature of such a piece of furniture was that being able to draw the curtains around the bed gave at least some illusion of privacy from the outside world. Poorer homes were often very cramped with little in the way of true privacy. 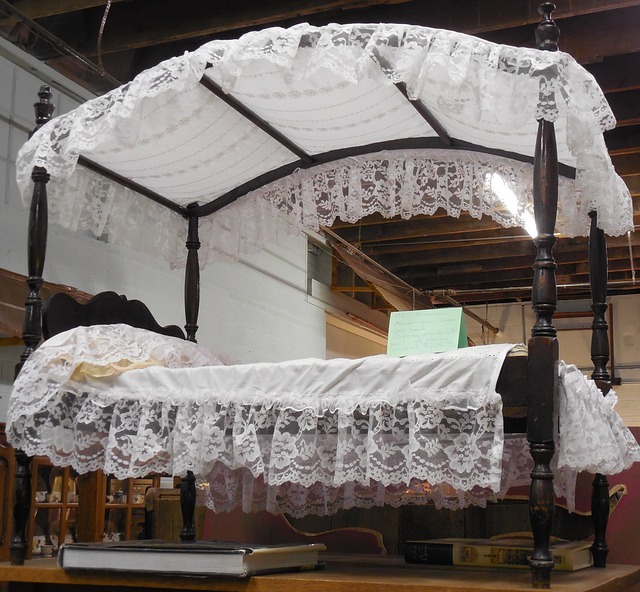 As time went on the idea of the large canopy bed became associated with wealth and luxury. The canopy itself could be made of rich fabrics such as silk and decorated lavishly. As such they have become something of a necessity for any self-respecting fairytale princess. Futons have been a traditional form of bedding in Japan for centuries. During the 1980s they were “discovered” by the West and have become increasingly popular. Early Western futon beds had a well-deserved reputation for being uncomfortable and – as with much of ’80s culture – were often more of a fashion statement than a sensible choice of furniture. Things have moved on a long way since then and the modern futon bed you buy today can be both convenient and comfortable. The Western style futon has little in common with the Japanese original. Japanese futons arose in part from the need to make the most of limited space. They are in essence a thin mattress (they are actually referred as Futon Mattresses) – little more than a pad – that is laid on the floor for sleeping then rolled up and put away to store during the day. This allows the same space to be used both for sleeping at night and for living during the day. In the West, the term futon has come to refer to a particular style of sofa-bed. They usually consist of a wood or metal frame and a thin mattress with a cover. The frame can be configured either for use as a bed at night or as a sofa (couch). You can also buy a futon chair which seats and sleeps one. It’s the space-saving versatility of futons that makes them so popular as an alternative to a conventional bed, even here in the West where pressures of space are less extreme than in Japan. They’re usually bought as a spare bed but some people like them so much that they use them all the time. Early Western futon mattresses tended to be thin and cheaply filled, hence their reputation as uncomfortable. Since then the market has matured. A good quality futon mattress today will still tend to be rather thin but will be filled and/or sprung as well as a conventional mattress. Many futon mattresses today are foam filled, some even contain memory foam. As always, shop and buy for quality not just price. Make sure you know what you’re gettng for the money – are you buying a full set of futon frame, mattress and cover? Or simply the bare frame? Or perhaps just the accessories? Few things sum up the idea of a lazy summer as well as the image of laying in a garden hammock, possibly reading for a while then drifting into sleep as it swings gently under the warm sun. I’m beginning to yawn just thinking about it! A hammock is a temporary, portable sling made from either rope or fabric such as cotton. The two ends are tied to fixed points – usually trees when outdoors leaving a hanging surface. In some cultures such as Mayan they are regularly used indoors as well. Although the hammock is still mainly thought of as a sleeping place the basic idea is also used today in some designs of hanging chairs. Nobody knows exactly where the hammock originated – it as been used by many cultures for many centuries. The chances are that it arose independently in different places at different times. From a European perspective it was first introduced by Christopher Columbus on his return from what we now call the Bahamas. Opinions thus differ as to the derivation of the word “hammock” itself. Some say it comes from the Hamack tree, the bark of which was used to make them. Others believe it derives from the word for “fish net” in Haiti. The early hammock was a very humble thing, far removed from the luxury products we can buy today. It arose out of necessity rather than relaxation. A hammock allows the user to sleep suspended some feet up – hence avoiding dangerous ground-based menaces such as snakes and scorpions. And in the jungle, of course, finding trees from which to string the hammock was never a problem! The lightness and portability of hammocks also made them practical for nomadic tribes and cultures where space was at a premium. Hammocks also have a big advantage for sailors at sea: since the hammock swings on its attachments, it remains level even when the ship rolls. Hence the chance of being thrown out of bed during a storm is reduced. Cocoon style hammocks reduce the risk still further. These benefits have all contributed to the popularity of hammocks with explorers over the years and with camping & backpacking enthusiasts today. The modern specialist outdoor hammock is a far cry from a few pieces of rope strung together! Features can include such extras as heavy duty construction, mosquito netting, easy entry systems and weather proofing. Companies such as Hatteras, Hennessy and many others sell a wide range in a variety of styles. At the stores you can buy everything from indoor fashion statements to hard-working jungle hammocks. The sight of someone falling out of a hammock is often used as a visual gag in TV and movies. In reality it can be painful and even dangerous. Any fall can be dangerous, especially if you land on your back. Try to buy a quality hammock appropriate to your body size and weight. Check that it’s undamaged before use and fix securely. Always read and follow all safety instructions. Never leave young children unattended near a hammock – as well as climbing on and falling off they are at risk of becoming entangled in the ropes, which may well be at neck height. Despite the name, loft beds aren’t necessarily something to put in the attic! They are perhaps most commonly found in student bedrooms – although thinking back to my college days, the comparison with an attic might not be too wide of the mark. A loft bed is very much like a bunk bed, however the lower section is use purposes other than sleeping. It’s a space saving bed that makes use of vertical space, making it a great choice for small rooms. Although they are normally thought of as single beds for kids or students it’s also possible to buy them in larger sizes such as queen or full. The most basic form of loft bed frame is basically just a raised bed: the space underneath is left empty and can be used to store of boxes, college books, electrical equipment etc. Some more sophisticated models include built in storage units etc in various configurations. They are available in both wood and metal. An alternative that is popular for student bedrooms is to use the lower space to incorporate a work desk for study. A built in computer workstation is increasingly common. For younger children it it is possible to buy themed loft beds, popular examples being “castle” and “princess”. As with bunk beds, safety is paramount – children sleeping in raised beds must be taught that they are not toys and guard rails should always be used. In the US, federal guidelines recommend that only children aged over six sleep in top bunks. Always read and follow manufacturer’s instructions. 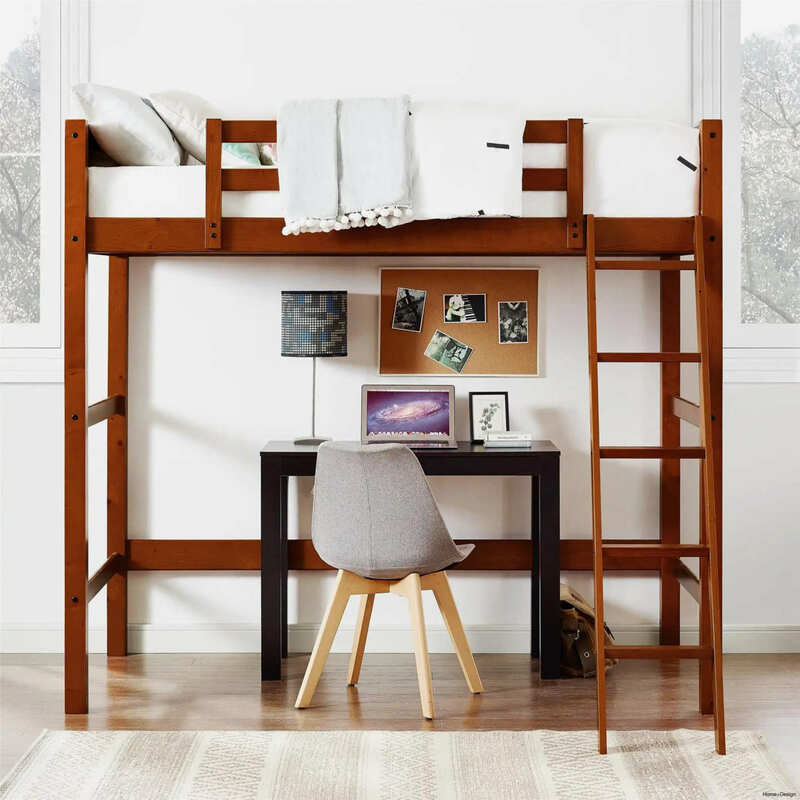 Since loft beds often have less support underneath than traditional bunk beds they must be carefully designed to ensure that they can safely take the weight of a person laying on top. They may need extra support struts etc. If you’re thinking of building your own as a DIY project then you might want to buy a professionally produced plan. The Murphy Bed – also known as a wallbed – was invented by William Murphy at the beginning of the twentieth century. The story goes that his one-bed apartment was too small for him to entertain his friends, so he invented a way of making more space by hiding away the bed. Thus was born a classic piece of bedroom hardware. William went on to found the Murphy Wall Bed Company and produced wallbeds based on his inventions and patents. Murphy Beds were invented for a simple, practical reason – to conserve space. The theory is that the bed folds away during the day and is only unfolded when needed. This allows a room to be used for one purpose during the day and then be transformed into a bedroom as required. Although we mainly think of Murphy Beds as wall beds, in 1918 William Murphy invented a system that allowed the bed to be attached inside the door of a closet and folded down from there. In 1925 the company changed its name to reflect this, becoming the Murphy Door Bed Company, Inc. The word “Door” was dropped in 1990 when the company changed its name to Murphy Bed Co. Inc.. The peak market for wallbeds was back in the nineteen twenties, however the company has continued in business ever since. As cities become ever more crowded, the pressure on space increases. Although there has been great recent interest in alternative space-saving beds such as futons or trundle beds, many people still buy wall beds. There are two main styles of Murphy Bed: the original panel style where the whole bed simply folds down from the wall in one go, and the Bi-Fold or Closet style where doors are first opened and the bed folded out from within. A panel bed has the advantage that with no doors to open, less space is used. Bi-Folds tend to have simpler and lighter operating mechanisms. Consult your dealer or store for information about which is right for you. The Murphy Bed of today bears little resemblance to the original design of a century ago that appeared in so many slapstick comedies (and which still make me smile!). Wallbeds on the market today include high quality designs with a choice of finishes that can be incorporated as part of a complete system of coordinated wall units – sometimes you can’t even tell that the bed is there. They usually have a counterbalancing mechanism to allow for easy raising and lowering. Some units even include extras such as fold-out night tables. If you have the skills then you can make your own wallbed from one of the kits or plans available to buy. If you take this route then be extremely careful regarding safety – if in doubt, take expert advice. And for something completely different, you can even buy Murphy beds for your pets! A platform bed might be described as a “minimalist” bed. There is no box spring and, in many cases, no head or foot board. At its simplest a platform bed is exactly what the name implies – a simple wooden or metal platform on which a mattress is placed. Because there is no box spring, a platform bed is usually very low set, however they are sometimes raised on legs in order to provide some under bed storage space. People buy platform beds for a variety of reasons. Some simply like the sleek, minimalist design which works well with both a traditional Zen or Japanese theme as well as with a more modern, contemporary look. In fact the humble platform bed can be successfully incorporated into a variety of themes, everything from stark white to black leather! For others the appeal lies less in aesthetic considerations than in the very practical consideration that they are less bulky and therefore often easier to move around than some traditional beds of the same size. Since a platform bed is so basic, how is it an improvement on simply sleeping on the floor? The answer is that most modern platform beds don’t simply consist of a solid slab of wood or metal. Usually there are a number of individual slats criss-crossing between the edges of the outer frame. This can help to reduce the weight of the bed and also gives it a small degree of “springiness” that can make a platform bed more comfortable than you might expect. A platform bed is often used with a simple high quality futon mattress. For extra comfort a modern memory foam mattress can be used. However you should be aware that some mattress manufacturers state that their products must be used on a solid foundation – a slatted surface might not be acceptable. Always check with the store where you buy or with the manufacturer for full details. Platform beds are also popular with craft enthusiasts. For someone with practical skills (which rules me out!) assembling or building a platform bed is reportedly not too difficult a project. If you do want to build your own then kits and plans are available to buy online. 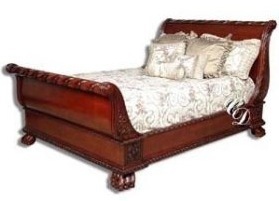 The sleigh bed is a design that is very popular in the US. Although there are stores in the UK where you can buy them, they are less well known over here – which is rather surprising considering that they originated in Europe. On second thoughts, considering the traditional “friendly rivalry” between the UK and France, maybe it isn’t so surprising! The term sleigh bed refers purely to the aesthetic design of the bed rather than to any practical considerations. The basic design originated in France and was then taken up by American craftsmen in the 19th century. Some of the sleigh beds you can buy today are based closely on original antique designs, others are more contemporary. The sleigh bed has a headboard that is considerably larger than the footboard and it is the design of these that define the style. Both head and foot board are curved with the top rolling slightly outwards. The overall design of the bed is thus reminiscent of an old-fashioned horse drawn sleigh, hence the name. Traditional sleigh beds often used to have wooden bars or slats along the sides and many more contemporary designs also follow this approach. On a real sleigh the rider would hold on to these whilst travelling. The most common material for a sleigh bed is probably wood, however they can also be bought in metal such as iron. Popular styles for a wooden sleigh bed include natural finishes such as cherry wood as well as painted material, often simple black or white. Some of the luxury models are also fitted with padded leather headboards and upholstery. A sleigh bed can give a wonderful feel to a bedroom. However you should be aware that the prominent head and footboards mean that they can easily dominate a room – which might or might not fit in with your design concept. As always you need to consider the bed in relation to the rest of your bedroom and bedroom furniture and plan accordingly. Buy what works best for you – which might not be what looks best in someone else’s home. The humble sofa bed is probably one of the most popular forms of space saving bed around. It provides a simple means of making a spare bed available at short notice. It’s actually surprisingly difficult to define the term “sofa bed”. Partly this is because of the difficulty in defining the word “sofa” itself. Etymologically the word sofa comes from the Arabic suffa which was a long stuffed couch or a dias with cushions. Some people define a sofa as being any seat for two or more people. Others insist that a sofa is larger than a settee which seats two people. There is also disagreement about whether or not a sofa needs sides arms. The definition of “sofa bed” is even more complex. Nowadays you can buy sofa beds in all sizes, including single seat versions. These should, stricly speaking. be called “chair beds”. However for simplicity they are often also called “sofa beds”. And what about the Western futon? It sometimes seems as if marketing departments use this term interchangably with “sofa bed”. 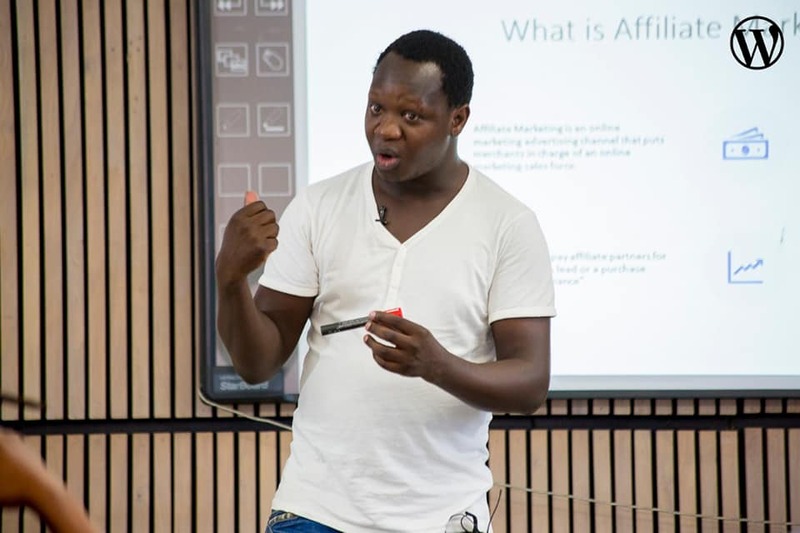 This variety of interpretations underlines how important it is to know exactly what you are getting before you buy, be it online or in a store. The simplest thing is probably to define a sofa bed as a convertible multi-functional piece of furniture that can be used as a seat during the day and reconfigured as a bed at night. Design of sofa beds vary considerably. In some cases the mattress simply slides out, or the back folds down. Others unfold themselves in a masterpiece of engineering which requires a degree in quantum physics to operate. Seriously, the ease of assembly is a point to consider if the bed is likely to be set up late at night when people are tired and emotional. Some of the modern sofa beds on the market have enough internal space that it is possible to have them made up with basic bedding even when they are closed and in use as seats. This saves a lot of time. However you will still need to find somewhere to store the pillows, etc. Other models take the opposite approach and use an inflatable ait mattress. You can even buy ones where the entire unit – sofa and bed – is inflated with an air pump when needed. Don’t forget to consider the size. Sofa beds are often used in small rooms – but will it still be possible to open the door when the bed is open? If not then it could make answering a nighttime call of nature tricky. And what happens to the sleeper if there is a fire or other emergency? On the other hand, sometimes the beds are so short that many people will find their feet hanging over the end. You can buy sofa beds in a wide range of price bands from the most basic functional design to top of the range contemporary leather models. It’s certainly possible to get a bargain however, as is so often the case, you usually get what you pay for. I’ve slept on plenty of sofa beds in my time and can vouch for the fact that some are a lot more comfortable than others. But then you have to ask yourself whether it’s worth spending the extra for the best in the store if it will only be used occasionally. A trundle bed is, like a Murphy bed, essentially a space saving device. It provides for a spare bed that can easily be stored away when not in use. They are often combined with a daybed. A trundle bed is simply a shallow bed on wheels or casters that slides underneath another bed when not in use during the day. When needed, it can be slid out and dressed. Trundle beds do not usually have box springs. Trundle beds are an easy way of providing spare bed capacity where space is at a premium. People often buy them to provide extra bed space for overnight adult guests or for children’s “sleepover” parties. There are, of course, different ranges on the market to suit different needs and budgets. Some are simple low frames with no extra sophistication. Others have the ability to be risen – pop up – to the height of a normal size bed. 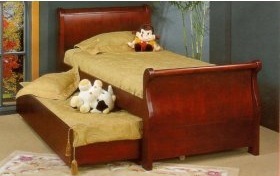 Although many people think of them as singles for kids, you can buy twin and other full size trundle beds. It’s important to remember that a given trundle will not necessarily fit under any existing bed – you can’t just go out and buy a new trundle bed and expect it to fit! Always check the specifications carefully. Then double check. For this reason trundle beds are often sold as a set, a pair of beds designed to work together. Some of these have a specially designed “drawer” to contain the trundle neatly when not in use, however these are usually not pop-up versions and cannot usually be removed from the main bed and repositioned. Waterbeds go back a long way. Thousands of years ago the Persians slept on water filled goatskin bags. More recently, the first patent for a water bed was issued in 1851 to Dr William Hooper of Portsmouth. Unfortunately his idea was ahead of the available technology and wasn’t very successful. The PVC based water bed mattresses used today were developed by Charles Hall in the 1960s. The basic idea behind the water bed is to manage the conflict between support and comfort. In many ways the water bed performs the same functions as memory foam. The water filled mattress distributes your weight and avoids pressure spots. Some people also like water beds because the vinyl mattress doesn’t collect dust and mites. This might be useful for people who suffer from allergies or asthma. There are a variety of accessories you can buy from specialist supply stores, for example puncture repair kits. Many people use a special waterbed conditioner to condition the interior of the mattress and prevent the buildup of bacteria. There are two main types of water bed on the market, hard sided and soft sided. As the names suggest, a hardside waterbed has a solid frame – usually wood – in which the mattress sits. A softside waterbed has a cushioned edge and looks at first glance similar to a normal bed. Most waterbeds come complete with a special built-in heater. This is usually adjustable to ensure that the bed is never too hot or too cold. When filled with water the mattress is very heavy. However with the correct frame or support this weight is distributed across the entire area of the bed rather than concentrated on four corner points. Most people have two concerns about water beds: one is that they will feel seasick, the other is that the mattress will burst. A water bed is unlikely to make you seasick. Most are filled to between 75% and 95% capacity and designed to avoid any “wave” effect. They move only when you do. As to bursting… well it is possible to accidentally puncture a modern water bed – but not easy. If a puncture does occur then they are designed with a safety liner. You might like to buy a puncture repair kit from the store – just in case.